For Long Island radiant heat installation and replacement, contact the professionals at Hilltop Plumbing. 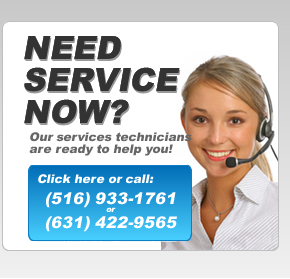 For over 30 years, Hilltop has been offering complete heating services in the Long Island area. We’ve built up quite a reputation in the area for offering quality workmanship and friendly service. To prove it, we offer our 100% Satisfaction Guarantee and our Lifetime Workmanship Warranty on all of the work that we do. We’re also available 24/7 for emergency radiant heat services because we know that problems don’t always happen during normal business hours. Give us a call today and let us help you pick out a new radiant heating system that matches your home’s needs and your budget. This is one of the most critical steps of the heating installation and replacement process. Call the Long Island radiant heat installation and replacement professionals at Hilltop if your current system has stopped working or if you’re moving into a new place and need a brand new system. While radiant heating systems are great options for many homeowners, their installation process is fairly complex. 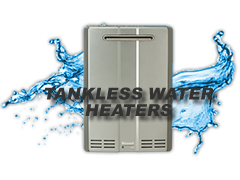 Call the Long Island radiant heat installation experts at Hilltop Plumbing. With radiant heating systems, tubes, pipes, or wires need to be inlaid under your floor, in the walls of your home, or in your ceiling. While this can definitely be retrofitted to your home, it is an intensive process. However, with over 30 years of experience, Hilltop can make sure that your new radiant heating system provides excellent heating in your home. One of the most important steps in the process is finding an appropriately sized radiant heat system that matches your home. If the system is too small or too big it could negatively impact its performance and your comfort. We can help you pick out a system that is the perfect size for your home so that it works well and that it works for as long as possible. While radiant heating systems are very durable and tend to last for a long time, they will eventually wear out and need to be replaced. For all your Long Island radiant heat replacement, contact Hilltop. Our professionals can help you figure out if it’s time to replace your heating system and then make sure that your new one is a good fit for your home. Replacing your radiant heating system has many potential benefits to your home. Your new boiler or electric baseboard heater will likely be more efficient than your old one. This can be a huge benefit because it could potentially reduce the amount of energy that you use in your home. Also, if your radiant heating system has started to require more repairs then a new system would likely allow you to avoid those types to problems.